Initial returns show West Linn's proposed renewal of a General obligation (GO) bond passing by a measure of 56-44 percent. As of Wednesday morning, 6,196 votes had been counted. Of those, 3,491 voted in favor while 2,705 voted against the measure. The ballot measure called for the renewal of an existing bond levy of $.42 cents per $1,000 in assessed property value that has been in place since 1998. It was estimated to generate as much as $20 million over the course of about 21 years, which the officials said would be used to fund an array of capital improvement projects related to transportation, parks and city facilities. 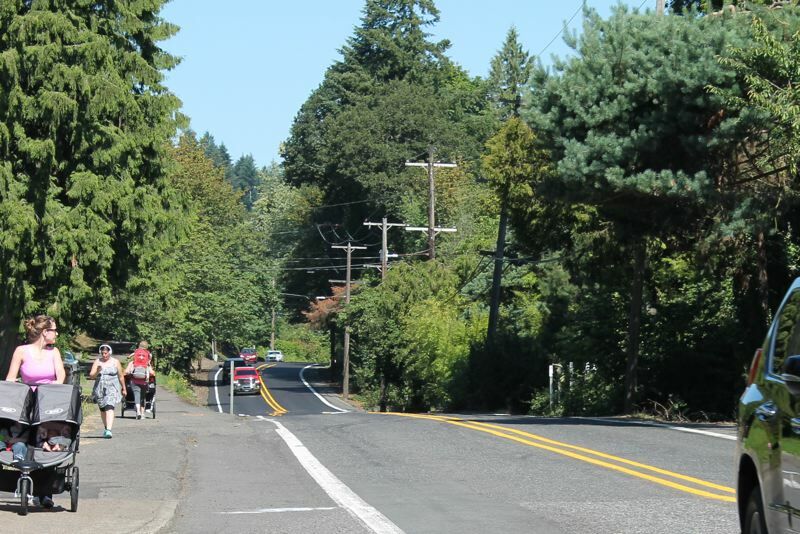 Specifically, the ballot measure identified transportation improvements on Highway 43 and Willamette Falls Drive, investments in existing parks and facilities, sports field renovations and repairs at the West Linn Public Library, among other potential projects. "I'm pleased the residents support the opportunity to leverage funds for valued projects without raising taxes," Mayor Russ Axelrod said in a statement Tuesday night. "I will do all that I can to see the projects are successful and enrich our city." "After seeing some of the finger-pointing and mistrust by the vocal opponents, it's reassuring that voters think this bond will support the community's livability," City Councilor Rich Sakelik said. "I was confident from the beginning this would pass. I think most citizens wanted the city to be better and to look past the arguments of opponents." Talks of a renewed bond began in 2017 as West Linn was preparing to adopt its 2018-19 biennial budget. In a message published in the final budget document, City Manager Eileen Stein noted that the bond referred to as "GO 2009A" (which refunded the original 1998 and 1999 GO bonds) was set to expire in fiscal year 2019. "The expiration of the levy presents the opportunity to request voter approval to continue investment in community needs such as parks, city facilities and street improvements," Stein wrote, noting that a renewal of the bond would maintain the current property tax rate of $.42 cents per $1,000 in assessed property value. The discussion kicked into high gear later in the year, as the Citizen's Budget Committee met three times in less than a month to learn about the retiring bonds, examine community survey results and cut a list of 40 potential projects down to 11. Debate over which projects would be prioritized with a renewed bond then moved to the City Council level, continuing well into 2018 as additional surveys were conducted and the merits and costs of different initiatives were considered. The City ultimately targeted roads, parks and city facilities as priorities for improvements if the bond passed, and approved a draft list of 10 projects a little over a month before Tuesday's vote. The council opted not to attach any specific dollar figures any of the 10 projects, arguing that it was too early in the process to divide up the funds. That decision rankled some members of the public, and was frequently cited in arguments against the GO bond. In a statement Tuesday night, resident David Baker — a vocal opponent of the bond — said the ball was in the City Council's court moving forward. "The result of last night's vote was disappointing, but I'm proud of the grassroots effort that was bootstrapped together to champion transparency and fiscal responsibility," Baker said. "I hope that our City Council will be good stewards of the bond proceeds. They now have the fiscal capacity to do a lot of good in West Linn." In a non-binding advisory vote, residents also expressed approval for the annexation of a 6.47 acre property at 23190 Bland Circle by a margin of 68-32 percent. Senate Bill 1573 — passed by the 2016 Oregon Legislature — mandated that all annexations be decided by the City Council, a departure from West Linn's long-held practice of putting annexations up for public vote. Other cities have challenged that law in court, and while that process plays out the City Council has opened up the avenue of public advisory votes on annexations when deemed necessary. The council agreed in February to use that approach for this property. The results of the vote will be taken into account when the council makes its final decision. The Bland Circle property is considered an "island" in that it is surrounded by land that is within city limits and zoned R-7. The applicants, David and Drucilla Sloop, hoped for the property to be brought within city limits and zoned with the same R-7 designation, and the council has already approved the zoning change.